The Leafs' long drought begins after the exhilarating game heard in this CBC Radio clip. Toronto Maple Leaf "Bashing Bill Barilko" is lifted onto his teammates' shoulders after he scores the winning goal for the Stanley Cup on April 21, 1951. The 24-year-old defenceman has become the Leafs' golden boy - winning four Stanley Cups in the four and a half years he's played in the NHL. But this is Barilko's last game before he mysteriously disappears on a fishing trip, initiating what some believed was a curse on the team. A massive search and rescue effort scans northern Ontario for any sign of Barilko and the plane he was last seen in. For the next 11 years, the Leafs suffer a long losing streak in their quest for the Cup. In 1962, Barilko's remains are discovered in the plane wreckage hidden by the dense forest. In the same year, Leafs win the Stanley Cup and the apparent curse seems to be lifted. • Many rumours circulated about Barilko's whereabouts. One theory postulated that Soviet agents kidnapped Barilko and took him to the Soviet Union to teach hockey teams the fine art of defence. Another imagined him at the centre of a gold smuggling trade gone wrong. Others believed that he was still alive but suffering from amnesia in the woods. • The Search and Rescue report cited pilot inexperience and bad weather conditions as the cause of the crash. • On Oct. 31, 1951, the Toronto Maple Leafs offered a $10,000 reward to the person who located Barilko, dead or alive. • Barilko's sweater number, #5, was formally retired in 1992. Ace Bailey's #6 is the only other Maple Leafs number that has been retired. Only players who have suffered a career-ending injury while a member of the team are eligible for this honour. How hockey fans are dealing with the last game to be played at Maple Leaf Gardens. 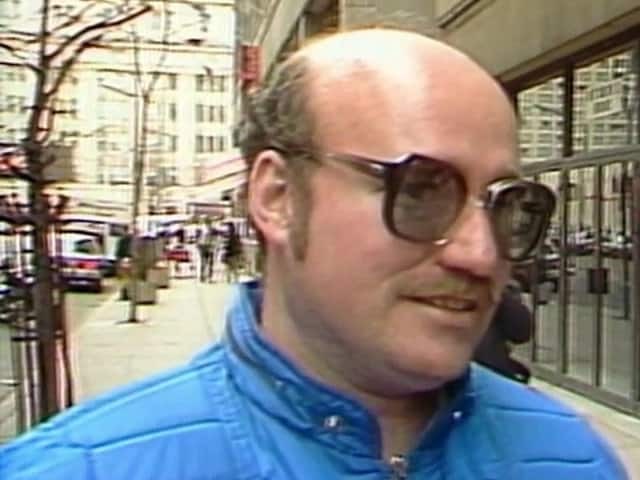 CBC reporter Allen Abel tours of one of hockey's most venerated buildings after the death of owner Harold Ballard. A mural for the subway station at Maple Leaf Gardens has the team's owner seeing red. Conn Smythe, founder, owner, coach and general manager of the Toronto Maple Leafs, dies at age 85. The Toronto Maple Leafs win hockey's most treasured prize. Clarence Campbell presents the Cup and 11 players are interviewed in the dressing room after their victory. The coach of the Toronto Maple Leafs tells interviewer Ward Cornell his analysis of the game at intermission. 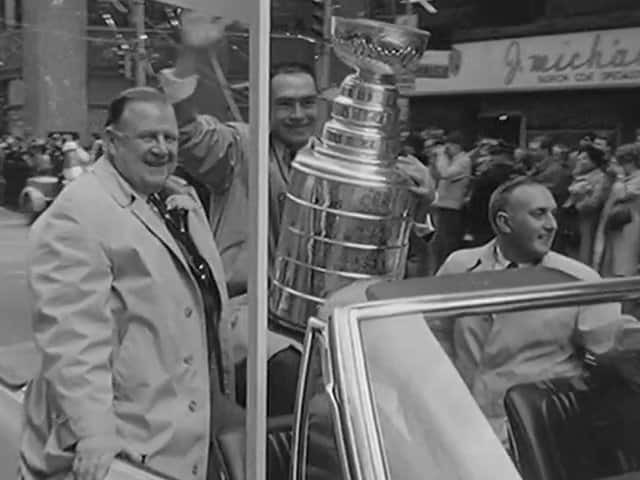 CBC's On the Scene sends Al Boliska to check out the Leafs at the start of the 1960 season. The Maple Leaf led his team to five Stanley Cups is ready to come out of retirement to rescue his faltering club.